Ian was born and raised in the suburbs of beautiful Denver, Colorado. 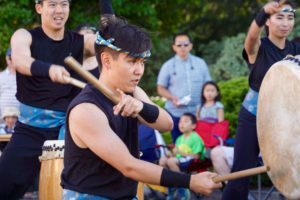 He got his start as a taiko player at the Tri-State Denver Buddhist Temple with Junior Denver Taiko and, in time, became an active member of Denver Taiko proper where he developed his passion for performance and teaching. During college he played with Stanford Taiko, eventually acting as performance and artistic director. 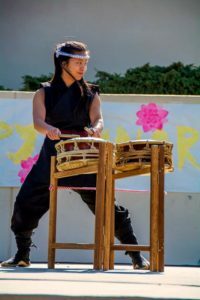 He now works and lives in the Bay Area as a mechanical engineer in the medical device industry and continues to practice and perform taiko with Jun Daiko, a separate brand-new group, and as an instructor at the Palo Alto Buddhist Temple. David began his musical journey early in life primarily under the guidance of his father, a professional jazz musician. Having studied clarinet for 13 years, he discovered taiko beginning with Stanford Taiko in 2003. 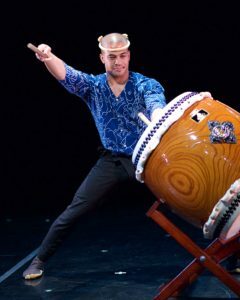 David has worked to hone his skills both in performance and instruction to the utmost, always striving to consider himself a student of the art, and has since performed with groups such as the Kenny Endo Taiko Ensemble, TAIKOPROJECT, Prota, and On Ensemble. 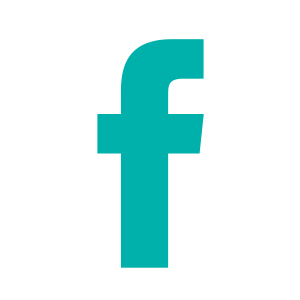 Vicky was born in Sydney, Australia and moved to California in 2000. 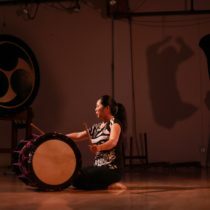 She first encountered taiko in her freshman year at Stanford, after which she joined Stanford Taiko for her full college career and found in it both a new family and a new passion. 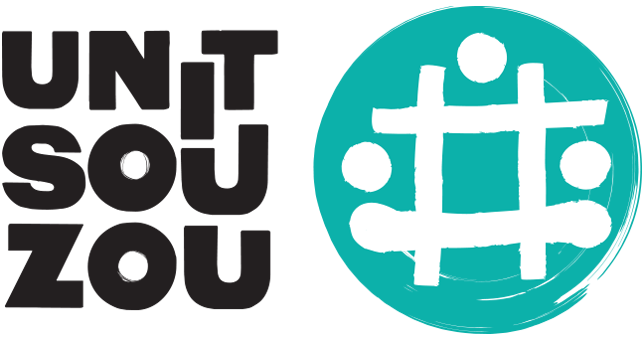 Currently, she plays with and is helping to form a new taiko group based in the Palo Alto Buddhist Temple. Before taiko, she learned piano for many years, and has enjoyed bringing the musicality of these two art forms together. Recently, she has found an interest in hip hop dance and has enjoyed experiencing a new style of movement.